Nadine, I know you trust God through suffering, because I've seen you do it and I'm watching you do it. But do you trust that He has good for you? That was at the very beginning of last fall. After having my eyes open to the fact that I didn't, I became determined to believe rightly. I prayed almost daily, simply asking for belief. I asked God to show me His love, to remind me who He was. It took awhile, mostly because I'm a stubborn sinner, but lately I've noticed myself having what feels like new beliefs. I believe that God has good for me. And that belief is changing everything - my confidence, my joy, my hope, my sorrow. 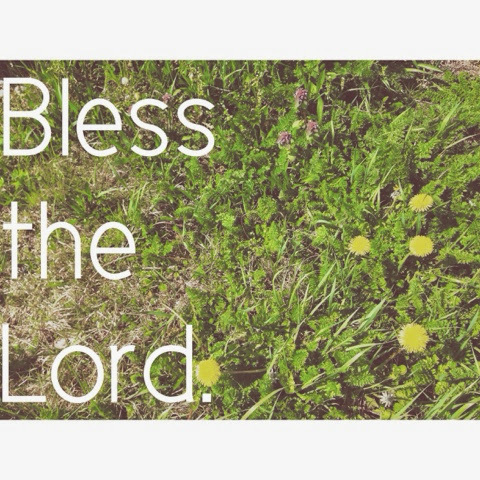 Bless The Lord, His faithfulness ensures forever. And ever and ever and ever.